We used to go early in the morning to a little Scandinavian town on the water in Washington called Poulsbo. It had two bakeries on the main street with pastries pushed right up against the front windows on shelves that lined them. How could you not be lured in for hot baked goods and coffee?! 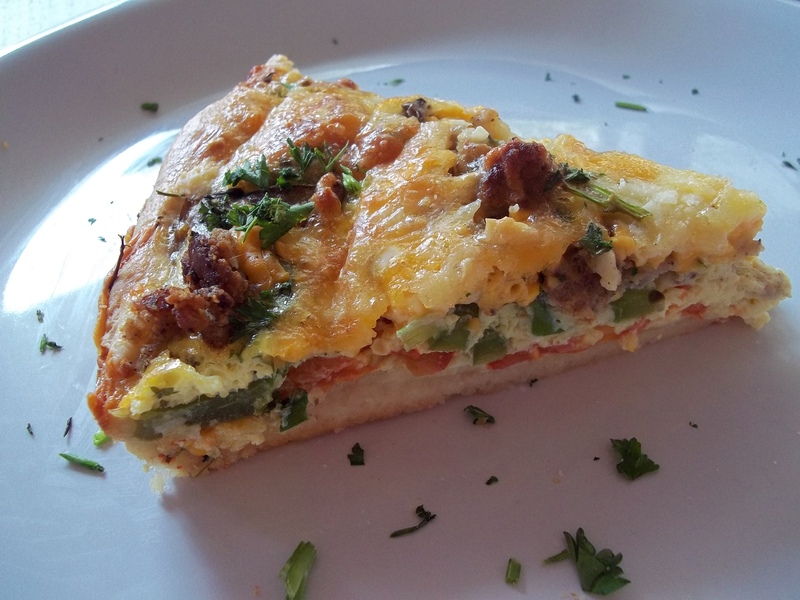 One of them served breakfast pizza squares from big trays. 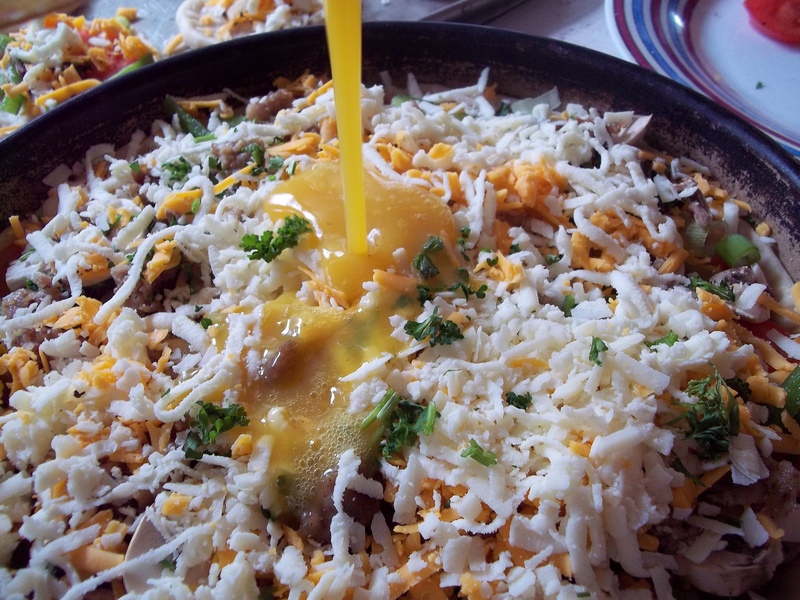 I have taken that idea and used it ever since for my main brunch entrée. We love brunch in our family. Sundays are our sleep in days which usually leaves us having brunch around 11 rather than breakfast and lunch. 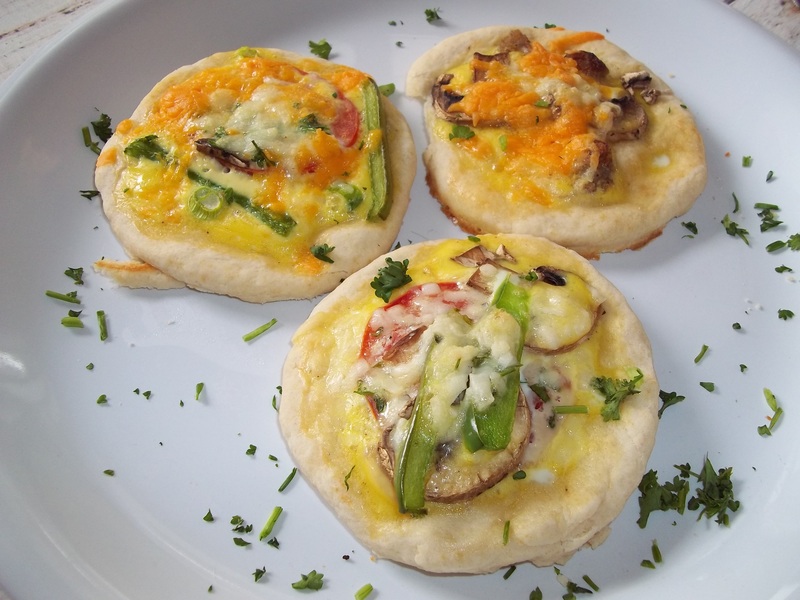 Very often I make my Poulsbo version of breakfast pizza in a deep dish like a Chicago style pizza, but I decided for the blog to make mini, individual breakfast pizzas. They were even better!! 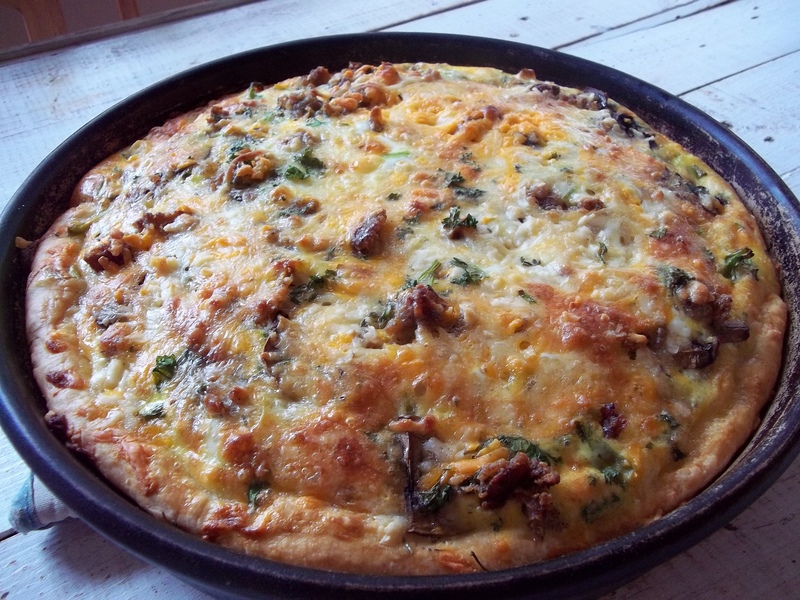 I doubled the recipe and made a deep dish pizza as well, which came in handy for quick homeschool morning breakfasts and have included the instructions and pictures here. It’s very easy to do. 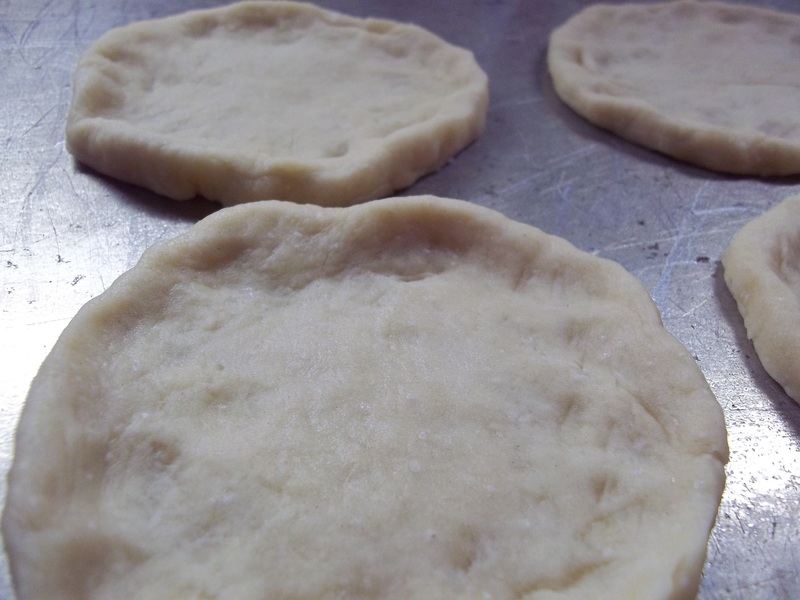 The crust is a biscuit dough so you could use store-bought refrigerator biscuits if you wanted to skip that step. 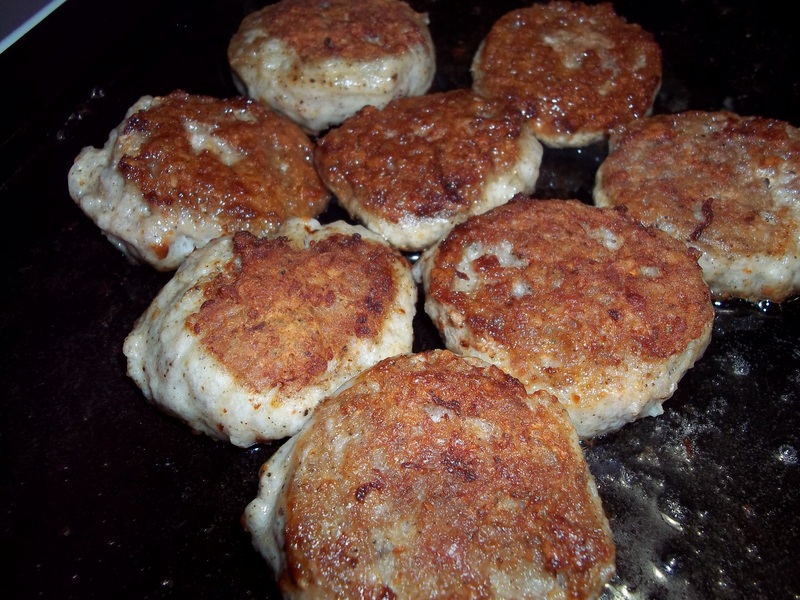 The recipe that follows is a quick oil recipe, but you can use a Buttermilk Biscuit recipe or substitute butter for this one. 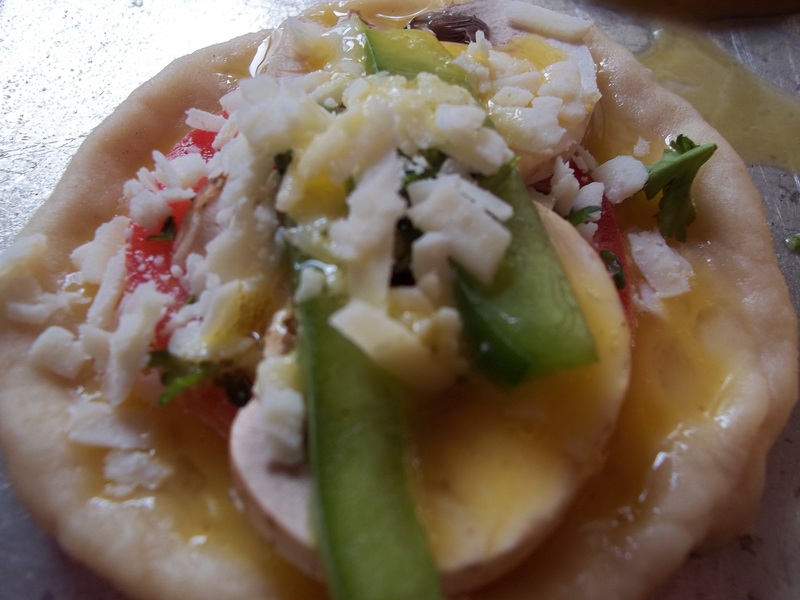 The filling is basically what you would use for scrambled eggs or an omelette. Beat together filling ingredients and chill. 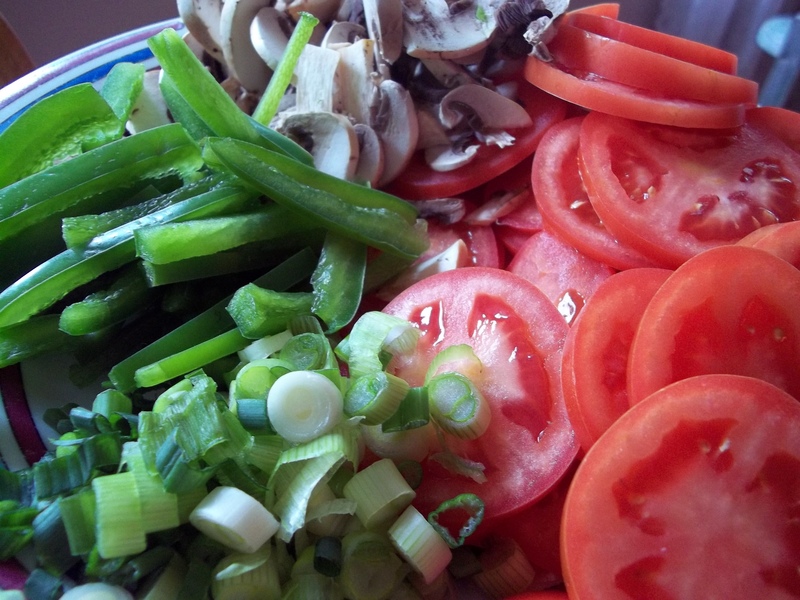 Cook sausage and prepare other toppings. 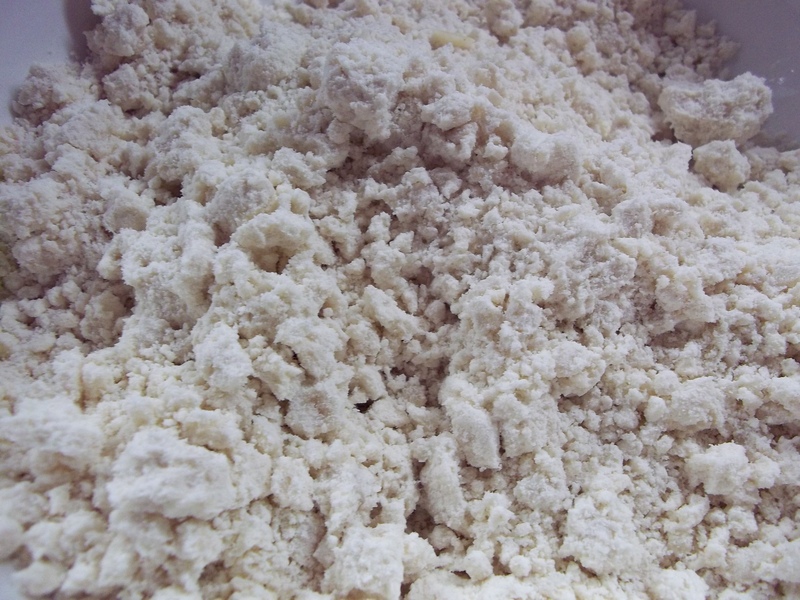 Make dough by sifting together flour, salt, sugar, and baking powder. 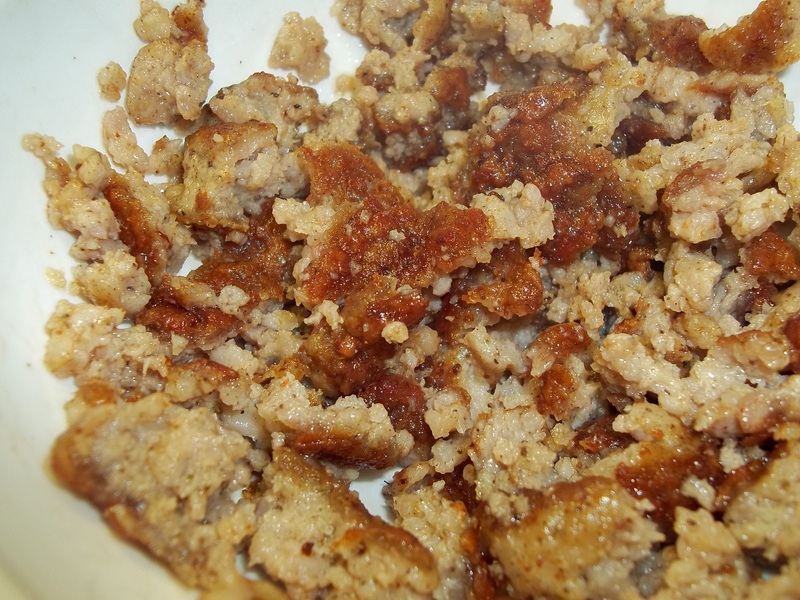 Blend in oil until mixture resembles coarse meal. Add vinegar to milk. 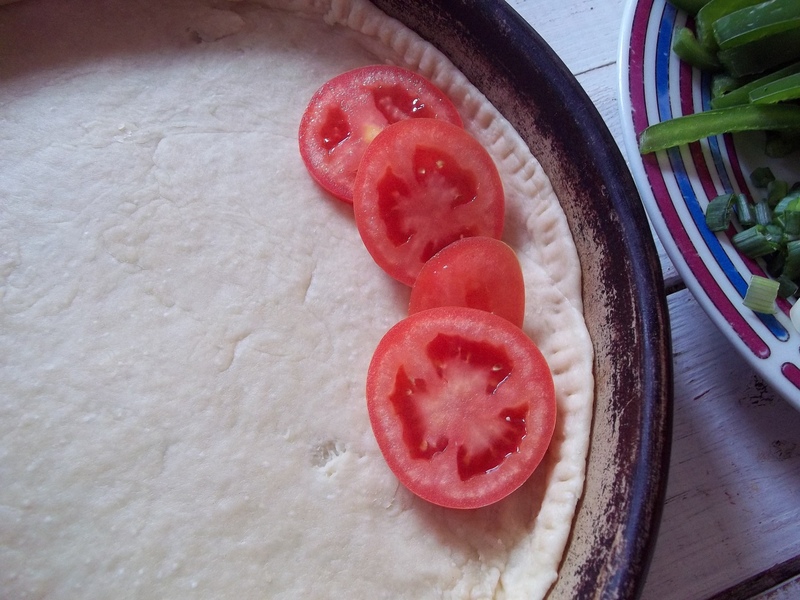 You can omit the vinegar if you are using yogurt or buttermilk. 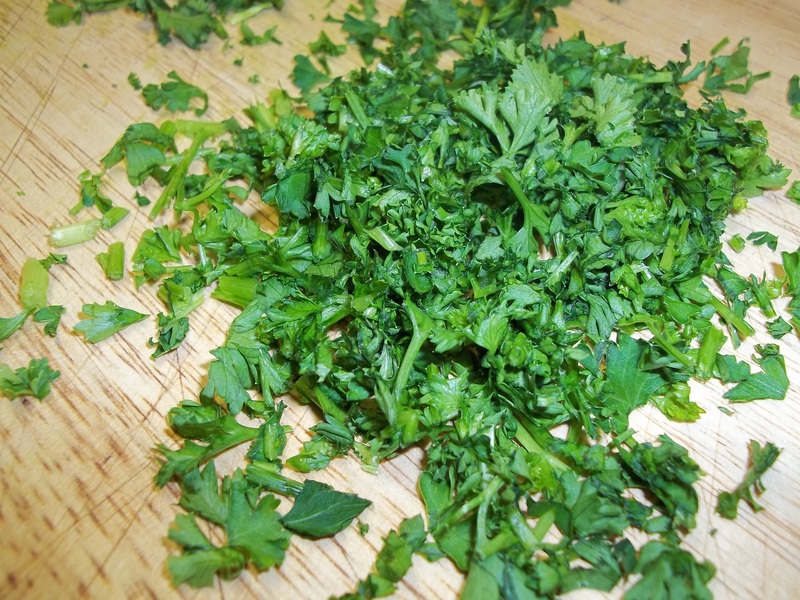 Mix into dry ingredients just until it comes together. 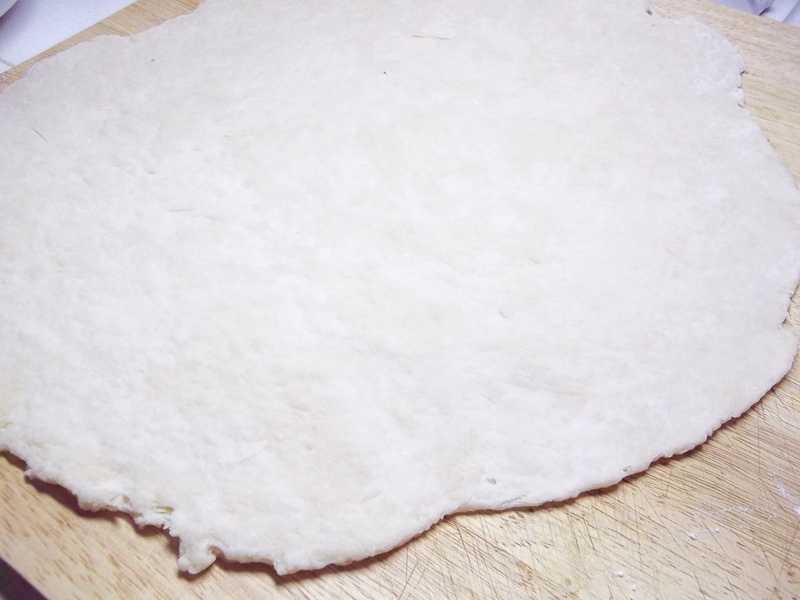 Don’t overwork or crust will be tough. 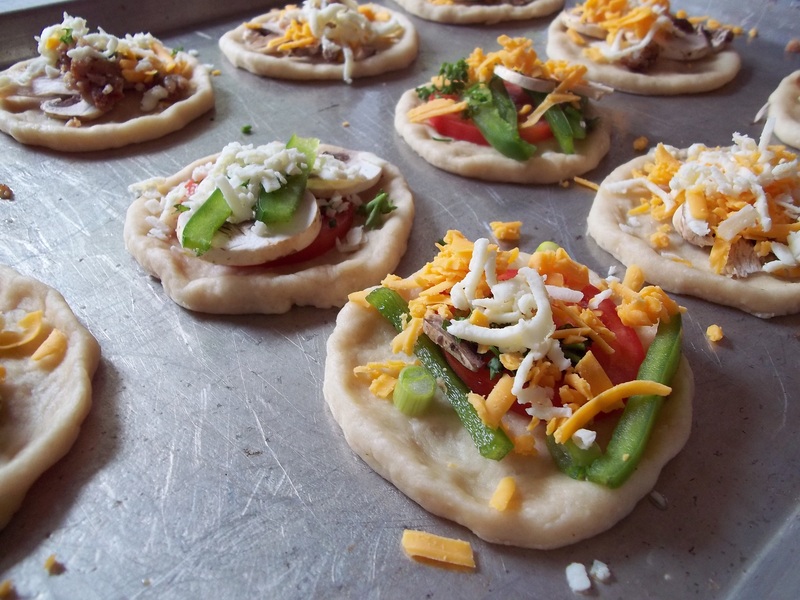 Roll and cut with a biscuit cutter for mini pizzas or roll into a large circle for a full pizza. 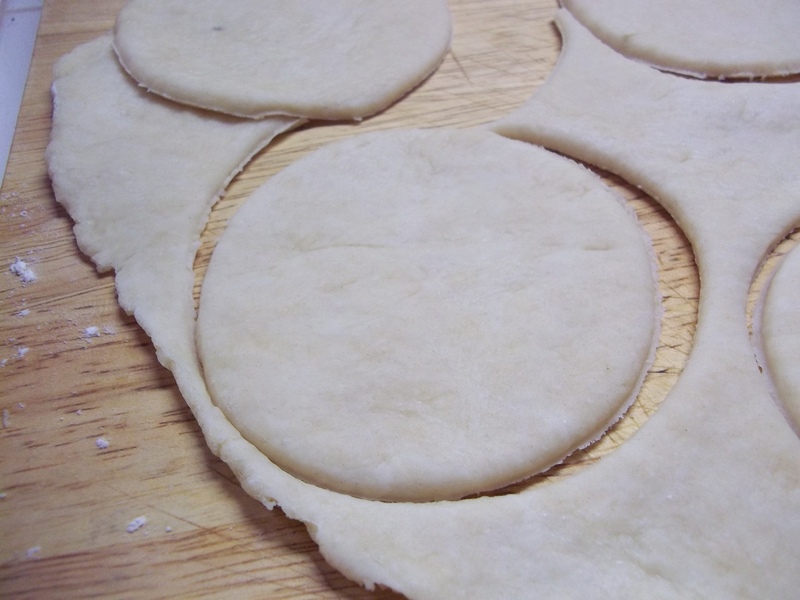 Lay dough circles onto a greased sheet pan. 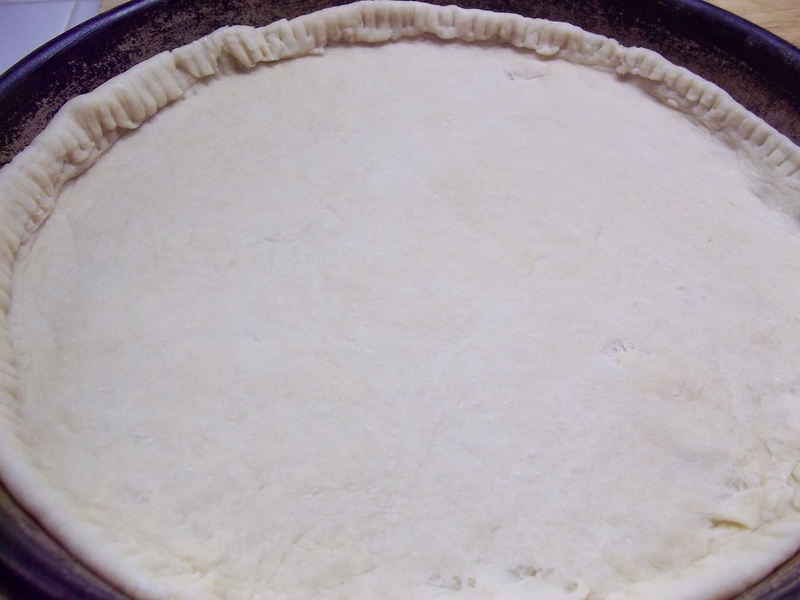 Form a lip around each circle to make a crust edge and to help prevent the egg filling from spilling over. 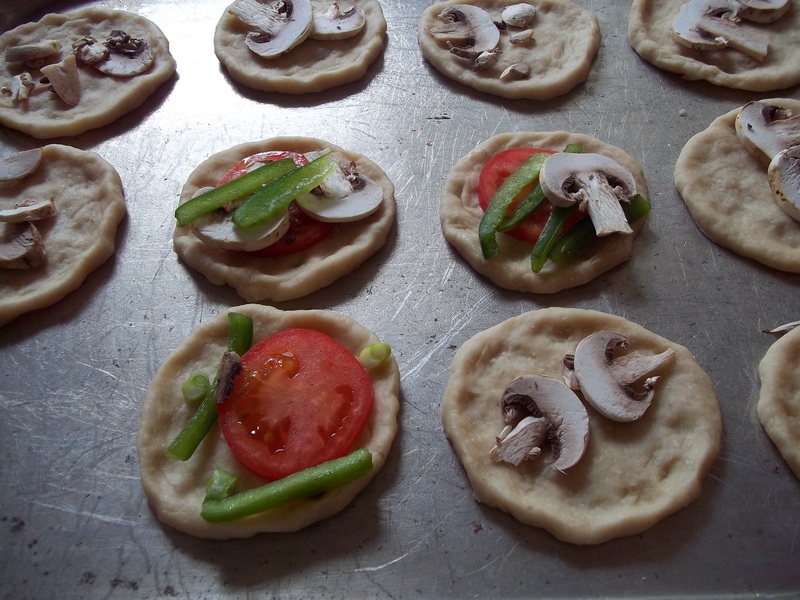 Place toppings on each circle or on top of dough in pan if making a large pizza. 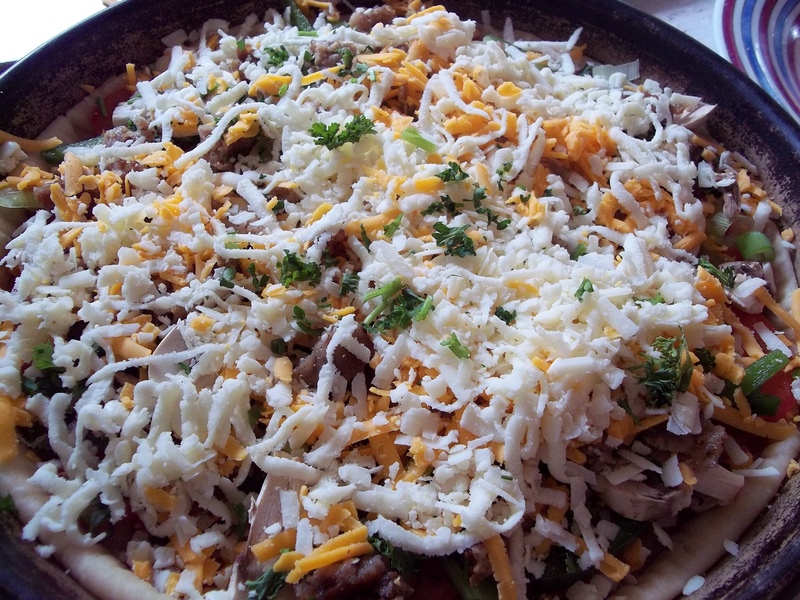 Add cheese in any combination you like. 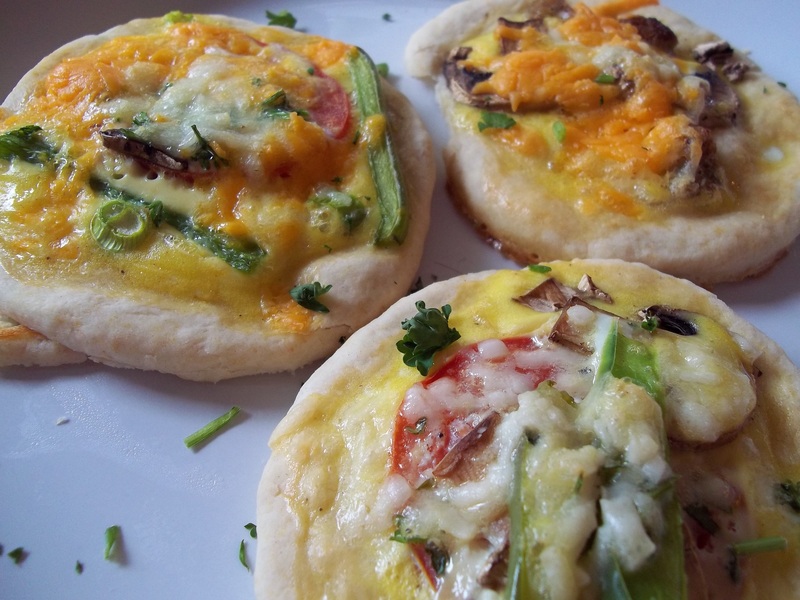 Bake individual pizzas for approximately 30 minutes, a dish pizza for 45 to an hour depending on how thick the crust is and how deep the filling is. I wouldn’t be able to get away with that with my kids. They want to be able to see everything so they can pull off what they don’t like. I’m lucky, though, to not have picky eaters. Well, not too picky anyway. None of my fellows will touch anything in the squash family except for pumpkin pie.